PT AKR Corporindo Tbk, hereinafter referred to as AKR, was founded as a small chemical trading business over 55 years ago in Surabaya, and it has now grown to become one of Indonesia’s largest private sector distributors of basic chemicals, petroleum, logistics, and supply chain solutions. Mr. Soegiarto Adikoesoemo, entrepreneur and businessman from Surabaya, started this business in 1960 and later established PT Aneka Kimia Raya on November 28, 1977. The company moved its headquarters to Jakarta in 1985. 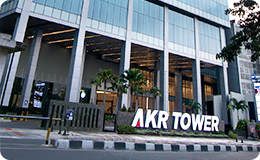 In 1994, AKR opened a new chapter in its business development by becoming a public listed company on Indonesian Stock Exchange (previously Jakarta Stock Exchange). This chance was used to further develop the company’s infrastructure and to build new storage terminals, as well as other assets in Java and Sumatra. In the first decade of this millennium, AKR expanded its business area to the distribution of petroleum products by expanding the existing infrastructure. 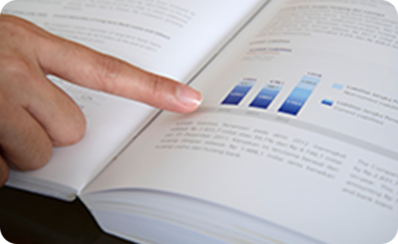 As its business portfolio grew, AKR starts focusing also on energy, logistics, and manufacturing businesses. The company’s name was later changed from PT Aneka Kimia Raya Tbk to PT AKR Corporindo Tbk, reflecting a larger business scope and opportunities. In 2005, AKR became the first national private company to distribute non- subsidized fuel. Taking benefit from its experience and extensive infrastructure, the company became the first national private company entrusted by the Downstream Oil and Gas Regulator (BPH Migas) to distribute subsidized petroleum since 2010. AKR continued expanding its network and now has storage tanks and terminals in 15 major sea ports and river ports throughout Indonesia. AKR also owns a fleet of self-propelled oil barges, petroleum, and chemical trucks delivering petroleum and basic chemicals to over 2,000 industrial companies across Indonesia. Currently, AKR is well known as the leading provider of logistics, supply chain, and infrastructure services in Indonesia.Using its extensive logistics network, the company has transformed into one of the largest distributors of petroleum and basic chemicals in Indonesia. For subsidized fuel, in 2017, AKR was reappointed to distribute subsidized petroleum for motor vehicles and fisheries. 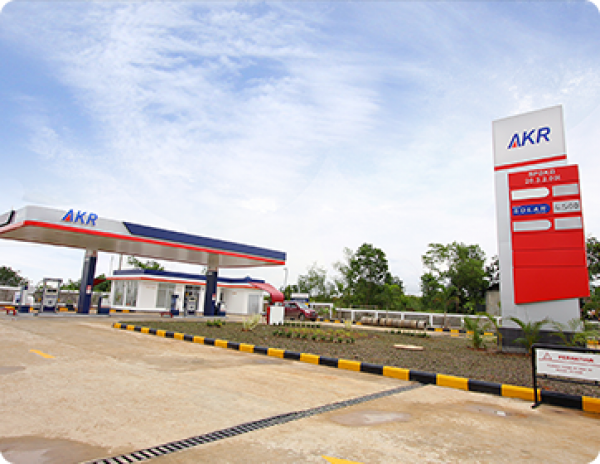 AKR currently operates 135 AKR brand petrol stations selling high quality diesel and gasoline to riders and fishermen in Java, Sumatra, Kalimantan and Sulawesi. AKR continues to invest in port facilities and other infrastructure in Indonesia to expand its trading and distribution system, as well as its logistics business. 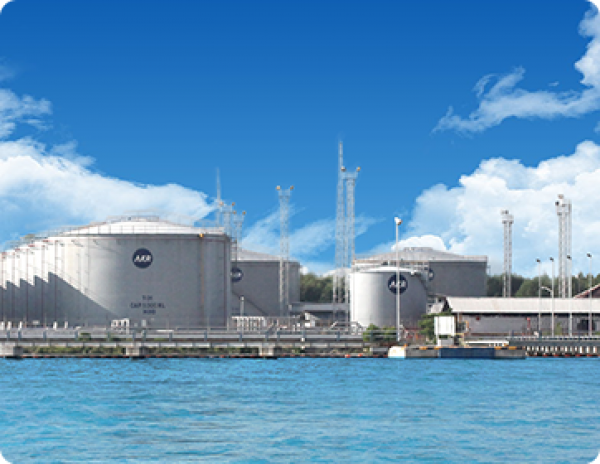 In 2011, AKR along with its joint venture partner, Royal Vopak, commissioned the largest independent petroleum storage terminal, PT Jakarta Tank Terminal (JTT) in Tanjung Priok Port. JTT provides modern and efficient terminal facilities for International oil majors and Indonesian corporates alike. AKR invests not only in heavy equipment, but also in technology to provide efficient supply chain solutions and control across all of its operations throughout Indonesia. It has introduced innovative technology system to monitor and control cargo movements, inventory and distribution of industrial, as well as subsidized petroleum. With these IT systems, any data pertained to the delivery to industrial customers and the refueling of vehicles in petrol stations could be monitored and reported on real time basis. The use of innovative technology solution brings considerable cost savings and efficiency to our customers, while also assisting BPH Migas in supervising and controlling the distribution of subsidized petroleum, thus preventing any misuses. 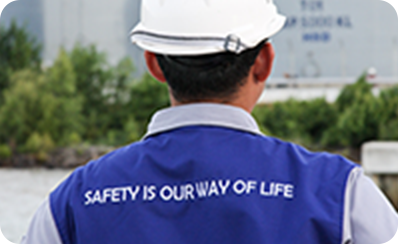 AKR is the supplier of choice for many companies in textiles, alumina, chemical, as well as soap and detergent industries. AKR supplies basic chemicals and represents world class chemical producers, such as Asahimas Chemicals (part of Asahi Glass, Japan), Solvay Europe and USA. AKR is supplying refined petroleum products from international refineries to mining industries, power utilities, industrial and commercial establishments, as well as to retail sectors through its petrol stations. Some of AKR’s subsidiaries, PT AKR Sea Transport Indonesia, operates in sea logistics for fuel services distribution, while PT AKR Transportasi Indonesia operates more than 400 tracks for land transportation. Currently, AKR is developing an integrated industrial and port area called Java Integrated Industrial and Ports Estate (JIIPE) located in Gresik, East Java. The project has been developed through the company’s subsidiary, PT Usaha Era Pratama Nusantara, in cooperation with PT Berlian Jasa Terminal Indonesia, a subsidiary of PT Pelabuhan Indonesia III (Pelindo III). JIIPE were developed as an integrated industrial area with a deep-water port that will generate significant added value for the company. Today, AKR also expands its business to petroleum retail and aviation fuel by a joint venture with BP Global. In retail business, both parties have developed a company called PT Aneka Petroindo Raya, operating under the name “BP AKR Fuels Retail”. They intend to develop and offer a different experience to consumers by leveraging the capabilities and expertise of BP and AKR in the emerging retail market in Indonesia. In aviation fuel business, another joint venture company, PT Dirgantara PetroIndo Raya, will operate under the name of Air BP-AKR Aviation with the remit to develop an aviation fuel business in Indonesia.